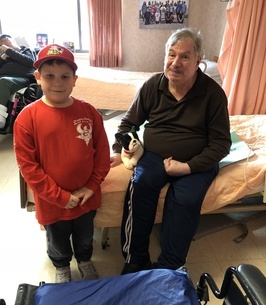 Obituary for Robert P. "Rob" Desmarais Jr.
Robert P. “Rob” Desmarais Jr., of Chelmsford, died peacefully on Tuesday, January 15, 2019, at Sunny Acres Nursing and Rehabilitation Center, after a period of declining health, aged 71 years. Born in Lowell, August 18, 1947, a son of the late Robert Sr. and Dorothy (Derbyshire) Desmarais. He received his education in the Chelmsford school system. 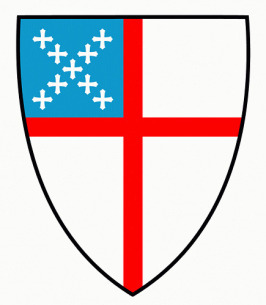 Mr. Desmarais was a member of Saint Anne's Episcopal Church of Lowell. Before illness forced him to retire, he drove the Road Runner Senior Service van for many years. Much to the delight of riders, Rob was known for his engaging, uplifting conversations, ensuring their trip was both safe and entertaining. He enjoyed maintaining the property of St. Anne's Church, and driving to Florida to visit with his father. He loved all animals, especially cats and dogs, his favorite dog breed being the Bulldog. The family would like to thank the staff of Sunny Acres for their many years of exceptional care. He is survived by a devoted aunt, Louise Derbyshire of Tyngsboro, two cousins, Leslie Derbyshire of Tyngsboro, and Nancy Derbyshire Chase and her husband Robert of Bedford, NH; a niece, Laura Desmarais, three nephews, Brent Desmarais, Cliff Desmarais, and Scott Desmarais, and a sister-in-law, Pamela (Lampros) Desmarais, of Hampstead, NH. He was the brother of the late Bryant Desmarais. His Graveside Service will be held on Saturday, April 6, at the Lowell Cemetery, Lowell, at 10 a.m.. Relatives and friends respectfully invited. Arrangements are in the care of the MORSE-BAYLISS Funeral Home, 122 Princeton Boulevard, Lowell. Funeral Director, Frederick W. Healy. Please enter through Lawrence Street Gate.